Here is one of our best selling items. The Unrestrained ring, like all the products on out site was also inspired by the counsel of in the Bahá’í Writings to be “unrestrained as the wind” when carrying the Message of God. We are but instruments that should -as feathers in the wind, be guided entirely by God. 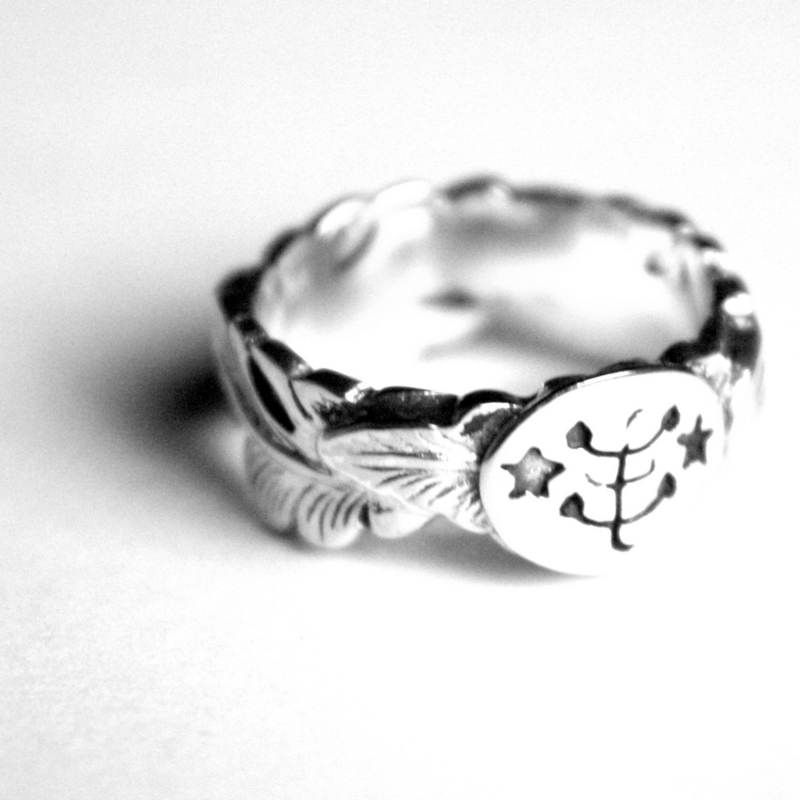 The ring features feathers carved all round the ring and there a smooth piece with the Baha’i ring symbol engraved on it. Made of .925 sterling silver. You can purchase this ring for USD 39.95 plus shipping. This entry was posted on Sunday, July 24th, 2011 at 1:45 AM	and posted in Uncategorized. You can follow any responses to this entry through the RSS 2.0 feed. « Bahá’í ring symbol…what does it mean?